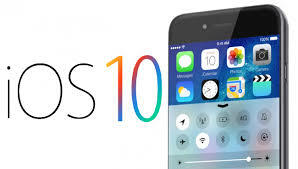 new features packaged with iOS 10, there is one that might interest a lot of iPhone enthusiasts, and could probably prolong the life span of most iPhones. According to the beta testers who are running the beta versions of iOS 10, there is a new feature that alerts users when the Lightning port is wet. The warning will be on-screen or through sound, and gives iPhone users enough time to unplug their phones and Lightning cables and dry the phone out, thereby preventing damage to the iPhone due to wetness. This feature is achieved with the use of moisture sensors in iPhones, but the interesting thing is that moisture sensors have been included in iPhones for a long time now, but were not used to detect moisture. The moisture sensors were rather used by iPhone engineers and repairers to determine whether an iPhone is warranty-covered, in situations where the iPhone needs repair or replacement. Now that the sensors are being put to work in the area they are meant to be, iPhone users can heave a sigh of relief. However, this is still not enough to overcome the possibility of iPhones being damaged with liquid. With phones like the Samsung Galaxy S7 Edge already possessing waterproof abilities, the question on the minds of many iPhone users is "when will our premium classy iPhones start possessing full resistance to wetness?". This question was put to Apple, and no reply has been received yet.